Kailua Kona, HI - October 24, 2016: The Colorado Buffaloes compete at the PAC 12 Preview at Nanea Golf Club. 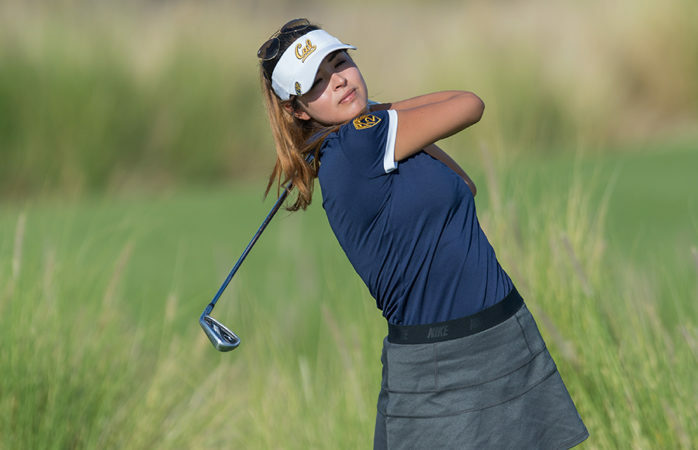 The Cal women’s golf team headed into its first postseason tournament Sunday at the Pac-12 Championships in Seattle. The tournament featured arguably the most challenging field that the Bears have faced all season with five of the 11 teams ranking in the top 25 in the country, including No.1 UCLA. While the Bears played consistently in the first two rounds of the tournament, the team collapsed in the last round and finished 10th overall (901); UCLA won the tournament, shooting 860. 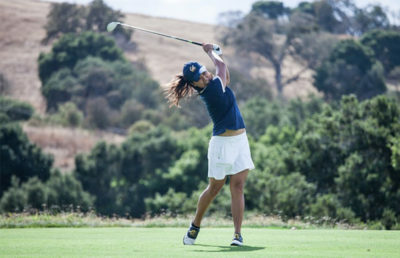 Before Cal entered the tournament, sophomore Jiyoon Jang was ruled unable to compete due to injury. Jang had been battling injury all season but seemed to be making a huge comeback — leading the Bears in their last two tournaments. While her absence was a huge blow to Cal, the team put together a solid first round performance and was able to finish T8th overall after one day of play, sitting behind all nationally ranked teams. Jang’s replacement, however, freshman Sofia Lundell, stepped up in a big way, finishing her first round +2 T20th overall. 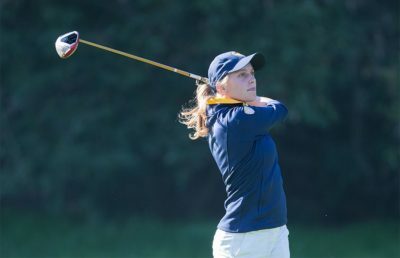 The ability of Lundell not only to fill in with a moment’s notice but also to finish her first round within the top 20 was more than the Bears could have asked for. On top of Lundell’s outstanding individual performance, senior Marthe Wold and junior Marianne Li both shot even par landing them T11th overall, heading into day two of play. The leadership from Wold was one of the Bears’ key aspects to performing well and comes as no surprise as she has dominated throughout the regular season. After their second time around the course Monday, the Bears once again finished the day 8th overall. While the team didn’t move up the leaderboard, its ability to stay consistent, especially in a tournament with so many ranked opponents, was important. The second round was again marked by outstanding play from Li and Wold who both shot +1 on the day finishing T12th overall. The Bears managed to stay afloat for much of the tournament, but in the final round Tuesday, the Bears shot the highest score of the day from any team at +19. Every member of the team shot over par with sophomore Maria Herraez shooting +9 in the last round. While Wold and Li had been keeping the Bears in competition, they both had their worst rounds Tuesday and saw no support from the rest of the team. In the end, the Bears finished 10th overall. While the team performance was far from what the Bears wanted, on an individual level, Wold and Li both notched top-25 spots with Wold finishing T15th overall and Li T23rd overall. Despite this disappointing performance, the Bears have qualified for the NCAA Regional Tournament as an 11 seed out of 18 teams in the San Francisco Regional. The placement of the Bears into the San Francisco Regional helps the team immensely. Unlike last year when they competed in Illinois, they will not have to fly or change time zones and will be playing in a climate that they are used to. Their field of play will contain tough and familiar rivals in Stanford and UCLA, and the Bears must place in the top six to move onto the NCAA Championships. The tournament starts May 7th, giving the Bears a week and a half of rest. This rest hopefully will allow time for Jang, who was just named first team all-conference, to return for the Regional tournament. Graham Griffin covers women’s golf. Contact her at [email protected].